Last year when I wrote about my must-have Mac apps, I was coming off a tumultuous year that started with a daily commute into Chicago for my old job and ended with me working from home. As the year came to a close, I was exploring what that meant for the way I work on the Mac. That process continued into 2018. With the number of new things I took on in 2017 and the transition to indie life, I made the conscious decision to step back and settle into my new life. That wasn’t easy. There’s a natural tendency to take on everything that crosses your path when you go out on your own, but I’ve seen too many people fall into that trap in the past. Instead, I concluded that 2018 would be the year to improve the way I already work by refining existing workflows and reevaluating how I get things done, including on the Mac. Three events led me to work on my Mac more in 2018. The first was the 27-inch LG 4K display I bought in January. It was a big step up from the 23-inch 1080p one I had before and, combined with a VESA arm, improved working at my Mac substantially. The second factor was our MacStories coverage of the App Store’s tenth anniversary. For it, we produced seven extra episodes of AppStories that were released in the span of one week, which kept me in front of my Mac recording and editing for long periods of late May through June. Third, just after WWDC, I destroyed the screen of my iPad Pro thanks to the trunk hinges that invade the interior of the 2016 Honda Accord.1 I decided to hold out for the new iPad Pros, but that meant writing for four of the busiest months at MacStories without a good iOS work solution. I used a current-generation 9.7-inch iPad some, but it couldn’t compete with my LG display. As 2018 comes to a close, the changes I’ve made haven’t been dramatic despite the extra time I’ve spent in front of my Mac. Instead, I’ve fine-tuned existing workflows and added new apps for specific tasks. 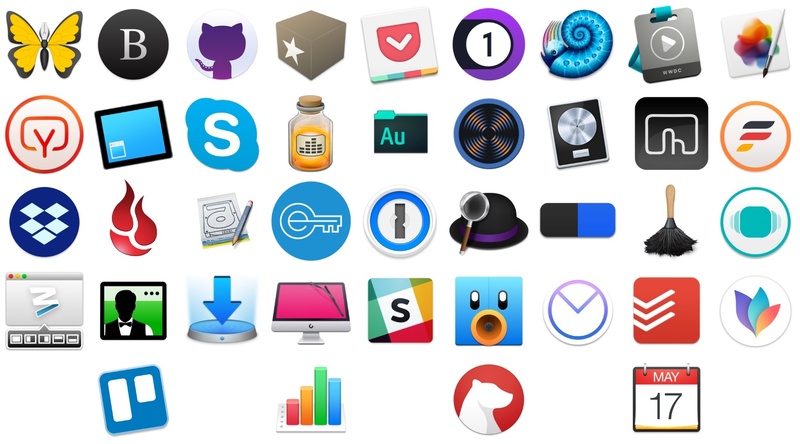 Below, I’ve broken down the 49 apps I use roughly by activity and function. I’ll mention where Apple’s apps fit into my workflow as I go because without them there would be a few big holes in the landscape of apps I use, but the focus of this roundup is on third-party apps, not Apple’s. Putting together my annual list of Must-Have iOS Apps is an exercise in analyzing the trends of the year and considering which ones had the biggest impact on how I use my iPhone and iPad. Two years ago, it was web services and open APIs; last year, I focused on collaboration with the MacStories team and making my workflow consistent across devices; this year, there isn't a single overarching theme behind this list, but rather a collection of trends and changes that I've observed over the course of 2018. First and foremost is the switch to a subscription-based business model by some of my favorite apps. As we noted in our look at the modern economics of the App Store earlier this year, it is becoming increasingly challenging for indie developers – the ones who make the apps we tend to use and cover most frequently on MacStories – to find a balance between reaching new customers with paid app updates and supporting an app over the span of multiple years for existing users who already paid once. A subscription seems like an obvious solution: new customers can try an app for free and later decide to subscribe; longtime users of an app get to support their favorite app over a longer period of time; developers are more incentivized to keep making an app better thanks to the financial security provided by an ongoing revenue stream. Recurring subscriptions for all apps launched two years ago just before WWDC, and it feels like we've only now reached a point where more and more developers are willing to experiment with them. This major shift in app pricing wasn't always met favorably by longtime users of existing apps, which has resulted in developers testing different approaches such as optional subscriptions, bundles containing subscriptions and In-App Purchases, or even multiple ways to unlock the same features. In looking at the apps included in this list, I was surprised by how many now include some form of recurring subscription; I think this transition will only become more prominent in 2019. The second trend I noticed in my usage of third-party apps is a strong preference for those that fully embrace modern iOS technologies. From Siri shortcuts (by far, the most important iOS developer framework of 2018) to Files integration and support for external keyboards on iPad, I tend to prioritize apps that eschew proprietary functionalities and adopt native APIs such as iCloud, the Files document browser, or Reminders. With iOS growing more powerful and complex each year, I think it's only natural that I've stuck with apps that shy away from Apple-provided solutions as little as possible; those frameworks are always going to be more integrated with the rest of the system than any alternative a developer can come up with, and I seek that level of integration because I enjoy the comfort of an ecosystem where all the pieces work well together. Lastly, I've noticed some overall changes in the kinds of apps I consider my must-haves for iPhone and iPad. In the "pro" app department, the Photography and Development lists have grown to include apps such as Lightroom, Scriptable, Darkroom, and Halide – all new entries this year. One of my goals with the new iPad Pro is to use it as a workstation for editing photos and programming my own little additions to iOS; I felt like my increased usage of these apps warranted some changes in the annual picks. You will also find more apps designed to interact with macOS as a result of my purchase of a Mac mini (which I'm using as a home server for various tasks) and different utility apps as some of the old ones have been replaced by Shortcuts. An app that, by the way, I can no longer include in this roundup due to my self-imposed rule of not featuring Apple apps because they're kind of obvious choices for an iOS user (this also applies to Shazam, officially acquired by Apple this year). 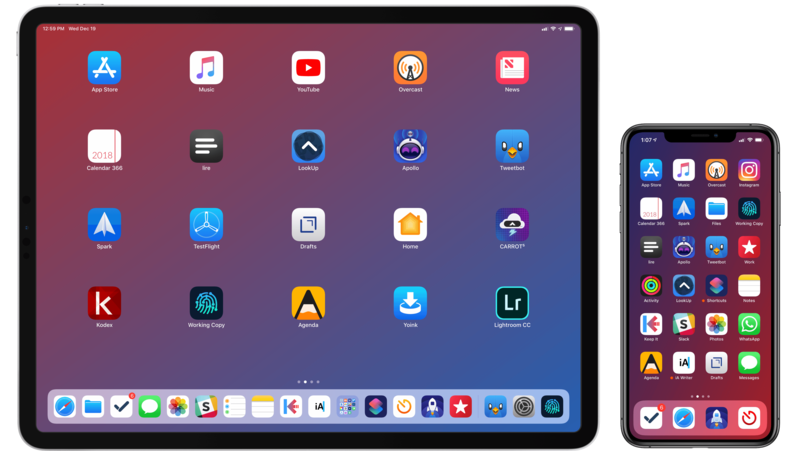 Below, you'll find a collection of the 60 apps I consider my must-haves on the iPhone and iPad, organized in nine categories; whenever possible, I included links to original reviews and past coverage on MacStories. What you will not find is the usual list of awards for best new app and best app update, which we've relaunched as a team effort under the MacStories Selects name this year. Instead, at the end of the story you'll find my App of the Year, which is also joining MacStories Selects as an award that recognizes an overall outstanding iOS app that had a profound impact on my workflow over the past year, regardless of its release date. It’s been quite a year. At the start, I was still commuting to Chicago every day to work in a law office full of Windows PCs. Now I work from my home studio surrounded by Apple hardware, moving back and forth from a late-2016 MacBook Pro to iOS devices as I write and talk about apps each day. When I was commuting, iOS played a central role. I was on the move and used my iPhone and iPad to write for MacStories when I wasn’t practicing law. Now, I have a dedicated workspace where I connect my MacBook Pro to a 4K 27” display and a fast, wired Internet connection. During 2017, the work I do changed too. Not only did I leave my law job, but in addition to writing at MacStories, Federico and I launched AppStories, and I began selling sponsorships for the site and podcast. With no commute, a dedicated workspace, and massive change in the work I do each day, how I get work done has changed significantly too. I continue to work on macOS and iOS, but the Mac now plays a bigger role in my workday than ever before. I haven’t abandoned iOS for work, but now, I work on iOS because I want to, not because I need to. Just over two months into working from home, I’ve begun to reevaluate how I use the Mac. I expect to continue evolving how I work on macOS throughout 2018 as I feel my way around the best ways to be productive. Still, a couple of overarching themes can be seen in my picks below that I expect will continue to guide me in 2018. First, I primarily use my Mac for work. If I watch a video, read a book or article, or play a game, it’s more likely to happen on iOS, which I expect to continue. The primary exception to that rule is listening to music, which I often do as I work. Second, I don’t like to be limited to macOS. As much as I work on my Mac, I value the option to do things like pick up my iPad to read email messages or grab my iPhone while I’m away from home to make a quick edit to something I’m writing. I’ve also included a few awards at the end of the story that highlight some of my favorites among the exceptional group of apps I use every day on my Mac, including an App of the Year. 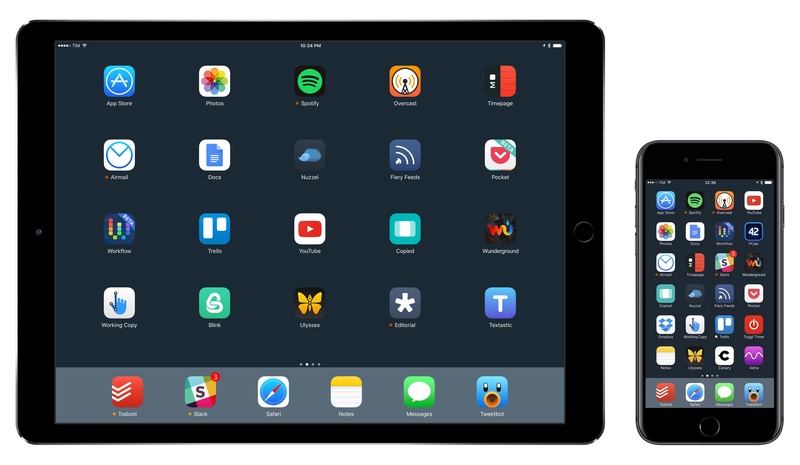 With the transition to iPad Pro as my primary computer fully achieved in 2016 and not surprising anymore, in 2017 I turned my attention to three other key areas of my life: working with the MacStories team, managing my time, and finding my favorite apps among many competing alternatives. For the first time in several years, I didn't publish a story documenting my journey towards the iPad and iOS in 2017. In many ways, that's a closed chapter of my career: the iPad Pro has convinced millions of people that it can be a suitable replacement for or addition to a Mac; with iOS 11 and its productivity features, Apple only cemented that belief. While part of me misses arguing in favor of the iPad against widespread skepticism, I felt it was time to move on from explaining the "why" of the iPad to helping others get the most out of the device. 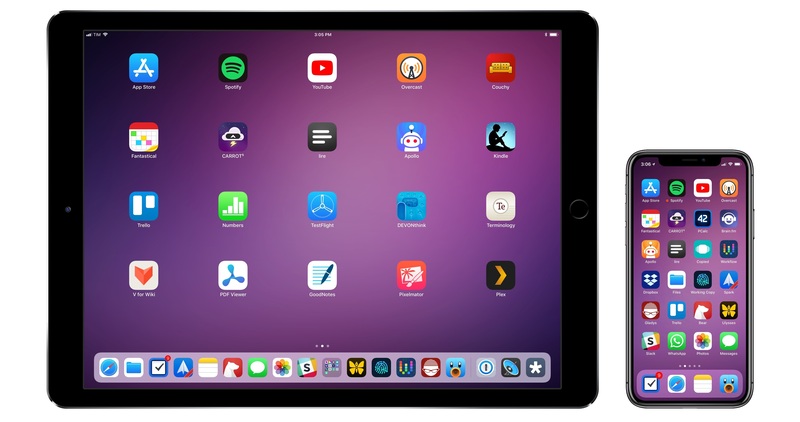 For this reason, I spent the better part of 2017 covering iOS 11 (first with my wish list, then with an in-depth review), discussing the details of iPad productivity, and creating advanced workflows for Club MacStories. As much as I like to write in isolation, MacStories is also a team that requires a direction and a business that begets further responsibilities. Learning how to balance the multifaceted nature of my job with my hobbies and personal life (which got busier thanks to two puppies we adopted in April) has been an interesting challenge this year, and one that taught me a lot about allocating my time and attention, as well as the kind of writer I am and aspire to be. There has been a recurring theme that has characterized my relationship with iOS in 2017: I've made a conscious effort to try as many new apps and services as possible, ensuring I would have a basic knowledge of all the available options on the market for different categories. As I was settling on a routine and set of apps that worked well for me, I realized that I didn't want to lose the spark of excitement I used to feel when trying new apps in previous years. My job is predicated upon writing about software and having a sense of where our industry is going; while finding something that works and using it for years is great, I don't want to become the kind of tech writer who's stuck in his ways and doesn't consider the possibility that better software might exist and is worth writing about. Even though my experiments didn't always lead to switching to a different app, they made me appreciate the state of the iOS ecosystem and helped me understand my app preferences in 2017. Thus, I'm going back to basics for my annual roundup this year. In the collection below, you'll find the 75 apps I consider my must-haves – no web services, just apps for iPhone and iPad. Apps are organized by category and, whenever possible, include links to past coverage on MacStories. As in previous years, you'll find a series of personal awards at the end of the story. These include my App of the Year and Runners-Up; this year, I also picked winners for Feature, Redesign, Update, and Debut of the Year. 2016 has been the year that I got used to iOS as my primary computing platform. After years of slowly transitioning from macOS, 2016 was all about optimizing my workflows and getting the most out of my iPhone and iPad. As I documented in two stories – one in February, the other last week – the consolidation of my iOS-only setup revolved around the iPad Pro. I see the 12.9-inch iPad Pro as the ultimate expression of iOS for portable productivity. With my 2011 MacBook Air now used three hours a week exclusively for podcasting, I invested my time in understanding the iPad platform at a deeper level. Thus, following two years spent assessing the viability of working from iOS, 2016 was characterized by the pursuit of better iOS apps for my needs. That effort was most notable on the iPad, but it also affected the iPhone, which I see as the mobile sidekick to my iPad Pro. Two trends emerged once I began outlining a list of candidates for my annual Must-Have Apps roundup. 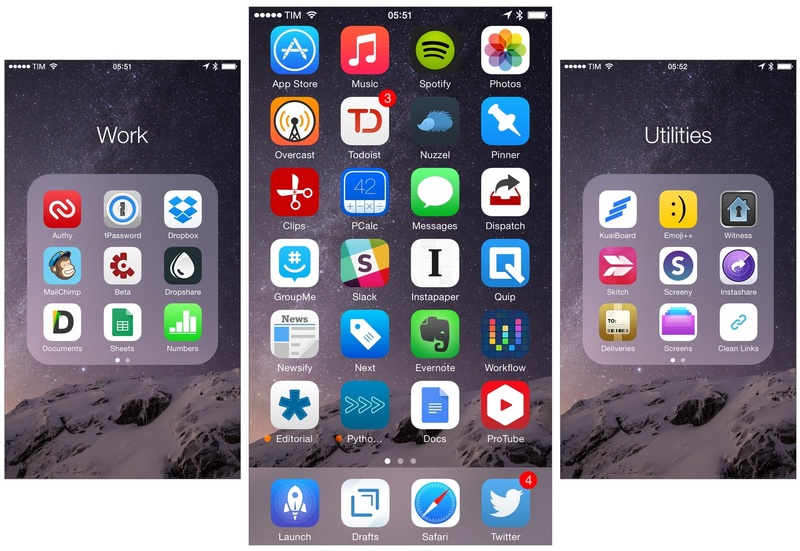 First, the apps that define how I work on iOS haven't dramatically changed since last year. As you'll see in this year's collection, the core of what I do on iOS is in line with last year; there are some new entries and apps that have left the list, but my overall app usage is consistent with 2015. The second pattern is more interesting. To be able to accomplish more every week and automate more aspects of my routine, I have increasingly switched to web services in lieu of iOS-only apps. In looking back at the past year of MacStories, I realized that a good portion of new workflows were based on web services, web automations, and open APIs. Some of those web services also offer iOS clients; others are strictly web-only, but I integrated them with iOS apps through Workflow and Zapier. For these reasons, you'll notice a difference in the 2016 edition of my roundup. In addition to my must-have iOS apps, I've added a section for my must-have web services. Whether I primarily use them with iOS counterparts, in Safari, or via an API, these are the web services that have helped me handle more responsibilities for my two businesses at MacStories and podcasting duties at Relay FM. As in previous years, you'll find a series of personal awards at the end of the story. These include my App of the Year and Runners-Up, and, for the first time, a Web Service of the Year and winners in other iOS categories. For the past four years, I’ve been running a series called My Must-Have Apps that, once a year, collects all the apps I find indispensable to get work done on my iPhone, iPad, and Mac. Considering changes to my daily life and workflow, this year only features my must-have iPad and iPhone apps. The iPhone has changed my professional life, and it’s a powerful and essential pocket computer that I carry with me all the time. But I prefer to get work done on my iPad. There was a time when I thought that I could work entirely from my iPhone; after upgrading to a cellular iPad two years ago and once I began moving to an iPad-centric workflow, I realized that the tablet was the iOS device that I preferred for writing, reading, doing email, and watching movies. For millions of users, the iPhone turns into a mobile computer as soon as they step away from the comfort of a desk with a Mac. But I’ve come to realize that I’d rather have two iOS devices with me at all times – a smaller iPhone and a bigger iPad – than one that tries to do everything at once. 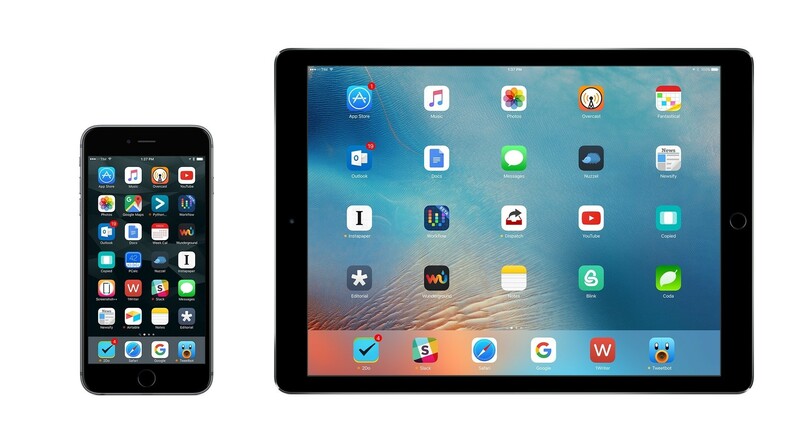 Which is why, ultimately, I decided to go with an iPhone 6 and an iPad Air 2 this year. In spite of my personal preference, though, I can’t deny the fact that, nowadays, it’s hard to find iOS apps – and especially utilities or productivity-related apps – that aren’t Universal. The trend of “iPad-only” and “iPhone-only” apps has been substantially downsized in recent years – none of the apps on my iPad Home screen are exclusive to the iPad at this point. So while I like and use the iPhone more for listening to music, taking pictures, or monitoring my health data, I still end up installing a text editor, a shortcut launcher, and a Python interpreter on my iPhone because they’re available and because why not. This isn’t an ideal scenario – too many developers are making iOS apps that simply scale across screen sizes without taking advantage of the unique features of each platform – but that’s beyond the scope of this series. It was tough to compile a list of must-have iPhone apps this year: I’ve already covered most of them in my iPad article, and I don’t use the iPhone as much as my iPad. But at the same time, I realized that, for those times when I needed to work from my iPhone, those smaller iPad apps were absolutely necessary, even if not running on a screen size that I’m comfortable with. And, more importantly, I believe the article can be useful to readers who had no interest in iPad apps and my iPad workflow. 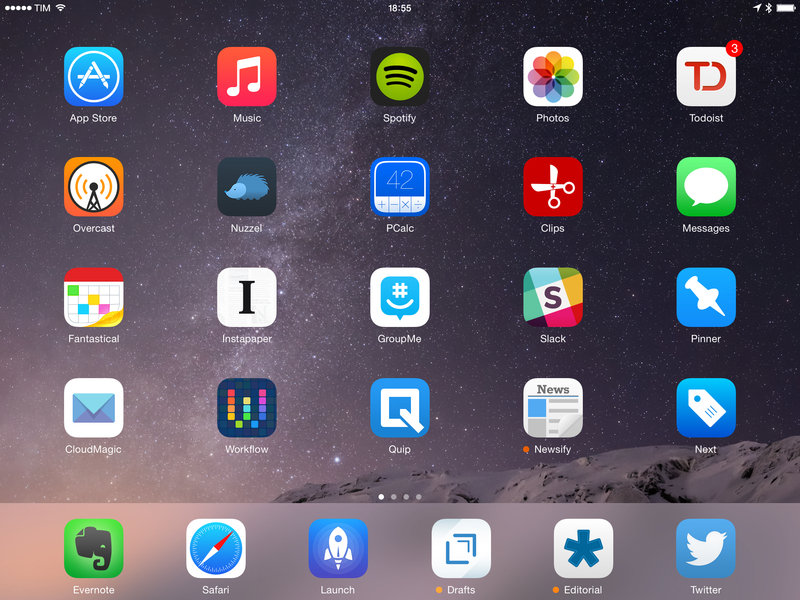 This year, I’ve only covered iPad and iPhone apps, as I practically don’t use a Mac anymore. For apps shared across my iPad and iPhone, I used the same base descriptions, with differences for the iPhone versions noted and rewritten where necessary. This is a remix and addendum to my must-have iPad apps. At the end of the article, you’ll also find my iPhone App of the Year and a Runner-up. Each app has a direct iTunes link, and, where possible, I’ve included links to previous MacStories coverage as well. For the past four years, I've been running a series called My Must-Have Apps that, once a year, collects all the apps I find indispensable to get work done on my iPhone, iPad, and Mac. Considering changes to my daily life and workflow, this year will only feature my must-have iPad and iPhone apps. As with last year, I want to start from the iPad. Over the past two and a half years, my workflow has become increasingly iOS-centric. Changes in my personal and professional life have convinced me that iOS is the best platform for me, with a rich ecosystem of apps that allow me to work faster and more efficiently no matter where I am. This year, my iPad has essentially replaced my MacBook Air, which I now primarily use to watch movies and record podcasts. There's a few tasks that I still can't get done on an iPad, but the list is shrinking, and, thanks to iOS 8, developers are coming up with new ways to make working on iOS more feasible and pleasant. I don't use my iPad as a computer just to prove a point or because it's a popular topic among readers and listeners of Connected: I need my iPad, the apps it runs, and the workflows I've created to automate what I do on iOS. It is with extreme seriousness, then, that I take a look at the apps I consider my “must-haves” each December and compile them in a list for MacStories. This allows me to sit down and calmly evaluate how I use my devices, the software I depend on, and how much the way I use apps has changed in 12 months. At the end of the article, you'll also find a few statistics about this year's collection as compared to last year's and my iPad App of the Year. Each app has a direct iTunes link, and, where possible, I've included links to previous MacStories coverage as well. For the past three years, I’ve been running a series called “My Must-Have Mac Apps” that, once a year, would list the apps that I found indispensable on my Mac. This year, considering the changes that I went through from a workflow perspective, I thought it would be appropriate to start focusing on iOS as well. The first installment was about the iPad; then, I covered the Mac; today, I’m going to conclude this year's series with the iPhone. Like many others, I don’t use the “phone” part of the iPhone much. The iPhone is my portable computer. And I have lots of apps on it. My workflow has changed a lot over the years. I used to have a MacBook Pro and I later got an iMac and replaced the MacBook Pro with a MacBook Air. I thought that I’d always need the Air but then I was forced to work from an iPad and I didn’t like it. As I kept trying, I ended up liking my iPad setup so much that I turned it into a tool more versatile than my Mac and wrote a book on it. But the way I use my iPhone has never changed: the iPhone is the computer that’s always with me. If anything, the software that runs on it has evolved through the years, with apps getting more powerful, inter-connected, and, in some cases, “desktop class”. And then, earlier this year, iOS 7 happened. As expected, iOS 7 provided a fantastic opportunity for developers to reimagine and redesign their apps to take advantage of Apple’s new OS features and design language. Three months into iOS 7, I think that the developer response has been remarkable, but the results are very much still in flux. For the apps that I use on a daily basis, I’ve seen a few major relaunches of apps rebuilt from the ground-up for iOS 7, apps that still have to be optimized for it, and a lot of “compatibility redesigns” that brought lighter color schemes and translucencies without substantially altering the way an app works or is structured for iOS 7. As Apple itself is still trying to fully understand their own new design language, I think it’s fair to assume that third-party developers will need more time to really “get” iOS 7. As I thought about the apps I wanted to include in this year’s last installment of the Must-Have Apps series, I realized that there was a good mixture of software that was built before and after iOS 7. As usual, my goal was to mention apps that I consider must-haves for my daily workflow, and for this reason you’ll find a mix of brand new iOS 7 apps, minor iOS 7 design updates, and a few pre-iOS 7 apps too. When it comes to having the best tool for the job, I value utility over fashion, and I cherish an old app if it still is the best for me. The list below includes my 50 top picks and is organized in four sections: Main, for apps that I use several times every day; News, for discovering links and staying on top of RSS; Entertainment, for media consumption; and Utilities, for single-purpose apps that I use often but not heavily every day. Each app is listed with its App Store link and, at the end of the article, you’ll find my iPhone app of the year.